This post is on understanding the covenant of answered prayers. It was preached by Pastor David Oyedpo Junior. The fundamental purpose of prayer is answers. The promise of a prayer is an answer. Hebrews 11:1. Faith brings about substance to expectation. Expectation sets the pace for answers to prayers. Acts 3:5.- 7. Proverbs 24:13. The word of God we receive can be cut of if we do not have expectation. Proverbs 23:18. How it will end is determined by what you expect. God is only committed to deliver our expectation. James 1:6-8. Hebrews 10:35. It is answer expectant prayers that produces results. 2. David Psalm 62:5 David was committed to answer expectant prayers. 2 Samuel 5:19. 1 Samuel 30:7-8. Psalm 57:2. David was too convinced of the performance of God. 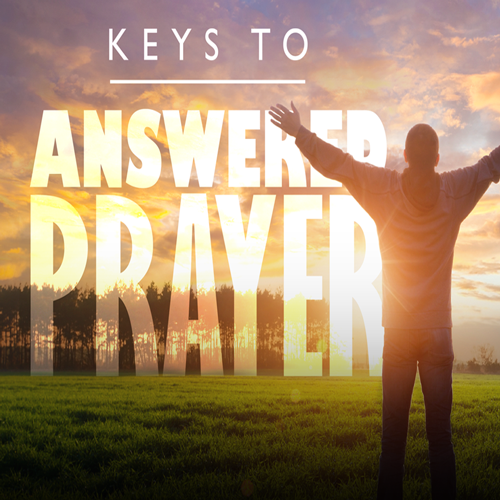 What are the covenant keys to answered prayers? 1. Engage word based prayers. Hosea 14:2. Anytime you’re approaching God with prayers take with you a word and turn to the Lord. Prayer is a legality. There are legal protocols to prayers. Isaiah 14:21. Isaiah 43:26. 1 John 5:13-14. What we ask that is in line is His word is what God is bound to answer. 2. Pray with faith in the word and in the name of Jesus Christ. Mark 11:24. Faith is a catalyst for answers to prayers. Faith is the spiritual converter of spiritual blessings to physical blessings Ephesians 1:3, Galatians 3:14. Faith is a key that resists all the darts of the enemy. John 14:13-14. 3. Pray earnestly. 1 Samuel 1:12,16. James 5:16. 1 kings 8:38-39. Jeremiah 29:13. 5. Pray with confidence in the prayer answering God. Hebrews 4:16. Philippians 3:3. 2 Corinthians 3:5. Every time I approach the alter of prayer, I’m to do so with boldness. 1 Kings 18:27. Elijah’s heart was rooted in confidence. Ephesians 3:20. Psalm 57:2. Life my voice knowing who I’m lifting it up to. 6. Pray with authority to deal with satanic hinderances. 1 Corinthian 2:12. Matthew 11:12. Ephesians 6:10-18. Daniel 10:13. 1 Corinthians 16:9. The devil and his cohorts have been ordained for defeat. 7. Pray with thanksgiving. Philippians 4:6. 1 Thessalonians 5:18. Hebrews 10:36. The will of God is thanksgiving. We have to do this before we obtain the promise of an answer, Acts 12:5.-15. It is important for us to recognise and know when my prayer is answered. How do I know when my prayer has been answered? 2. When the Holy Spirit witnesses in me, Romans 8:16. 3. When my spirit begins to celebrate the answer. Having the song of victory. 🙂 1 Peter 1:8. When ever God responds there is fullness of joy. Psalm 16:11. 4. When the peace of God overwhelms your heart on that subject. Psalm 85:8. Gods answer is always peace. There is no agitation. Philippians 4:6-7. Please give your life to Christ or repent of your sins so all your prayers can be answered. I can’t wait to hear your testimonies!